CultureHunt was an opportunity to experiment with new technologies by creating an app that is fun, functional, and highly scalable. 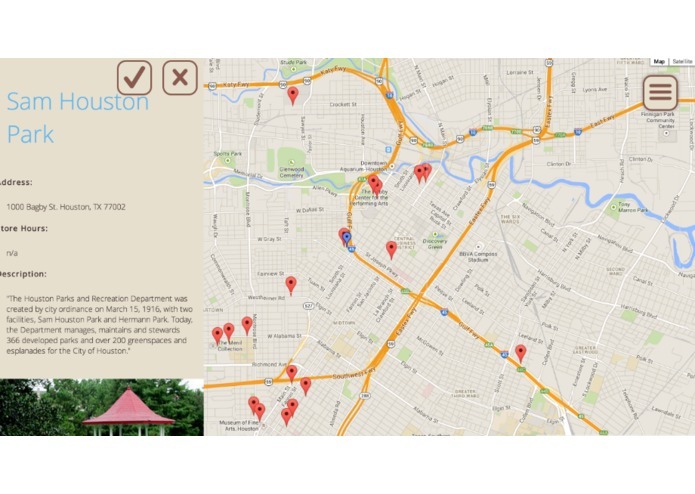 Our target user is anyone who wants to explore the diverse cultures of Houston and expand their awareness. User-friendliness and responsiveness are the key features that we are most proud of in this webapp. Time was spent customizing pages and picking initial cultural spots to represent Houston. For future builds, we eventually would like to involve local stakeholders and user involvement to create more personal content within the app.